Note, this service is unlikely to be suitable for someone with investment value less than £6 million. Do you feel overwhelmed by the thought of managing your finances? Do you have sleepless nights worrying about whether you are making the right financial decisions? What if you could feel more confident and in control? Imagine how reassuring it would feel to know that you have an expert, professional, trusted advisor to work alongside you and take you by the hand and guide you through the financial maze. Someone with a unique set of professional qualifications; someone with decades of experience working with women just like you; someone who will listen and advise and always protect your interests. This reassurance is what I offer to my clients. 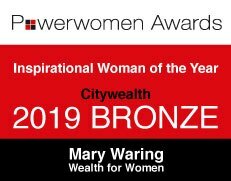 My name is Mary Waring and I provide an exclusive, bespoke and discreet financial concierge service to women before, during and after divorce. I am an award-winning financial advisor; a chartered accountant, a chartered financial planner, and I have specialist accreditation from the solicitor’s body Resolution. I am also a qualified and experienced coach. I am the only person in the UK with my specific qualifications. With over 30 years’ experience in the financial sector, I support women to manage their wealth. 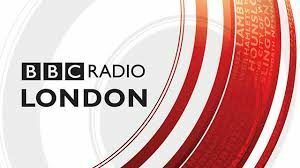 I am a recognised expert in my field and have been featured in the Daily Mail, The Telegraph, Daily Express, Good Housekeeping, Investors Chronicle, BBC Radio London and LBC amongst others. My expertise and specialism is in working with women before, during and after divorce. Not because women need different advice to men, but because they will often need a different approach. I’m here to take care of you, not just your money. – Help you get complete clarity about your financial position. – Work together with you to determine short and longer term financial goals and create a tailored plan to meet your goals. – Support you to find the best professionals to help you – from tax advisors to accountants. – Liaise with and co-ordinate your advisors so you can be sure that your interests are protected and your financial future is secured. – Talk to you in down to earth language – no jargon – so that you understand exactly what is happening, what you’re being advised to do and the impact of your decisions. But rest assured, my service also goes way beyond the purely financial. From appointing staff to selecting the right insurance, from deciding where to live to helping you assess the right schools for your children, I am always on hand as a sounding board and advisor. No more unnecesary worry and anxiety.